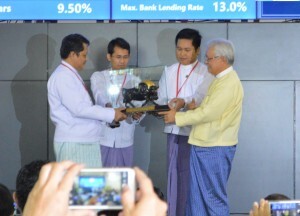 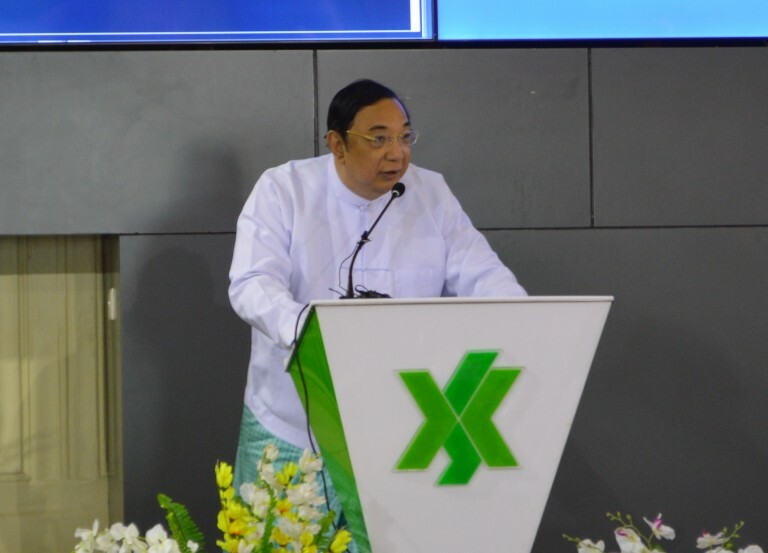 On 25th March 2016, Yangon Stock Exchange (YSX) held a ceremony of the first stock trading and FMI’s new listing at the YSX office building. 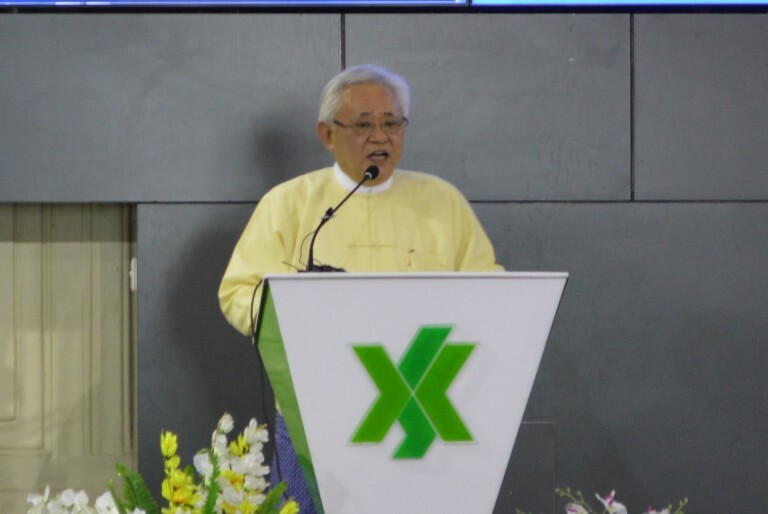 In the ceremony, Dr. Maung Maung Thein, the Chairman of SECM and the Deputy Minister for Finance delivered opening remarks for the historical first stock trading and Mr. Serge Pun, the Executive Chairman of the First Investment Myanmar Co., Ltd. (FMI), gave a message of thankfulness to all related parties involving in listing on YSX as the first listed company. 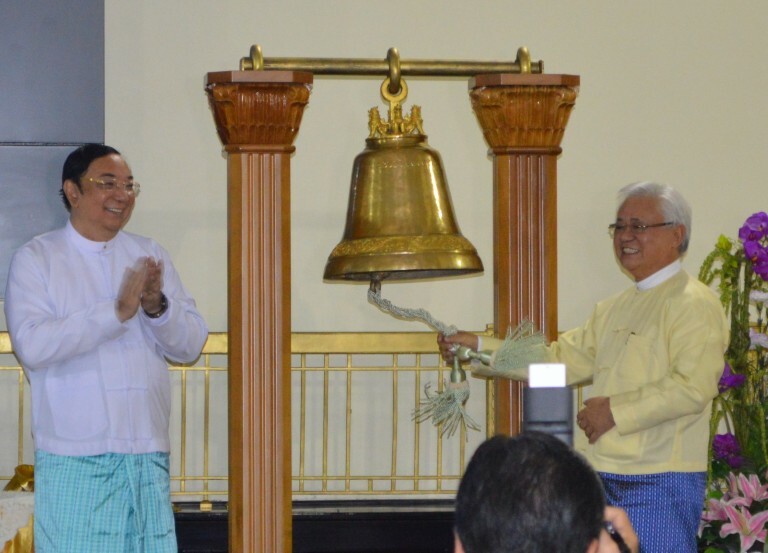 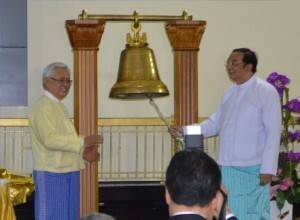 After exchanging the gifts between YSX and FMI, Dr. Maung Maung Thein and Mr. Serge Pun celebrated the first matching of FMI’s stock trade at 11:00 am with ringing YSX’s bell named “Aung Ze Ya Tu”, meaning of “success”. 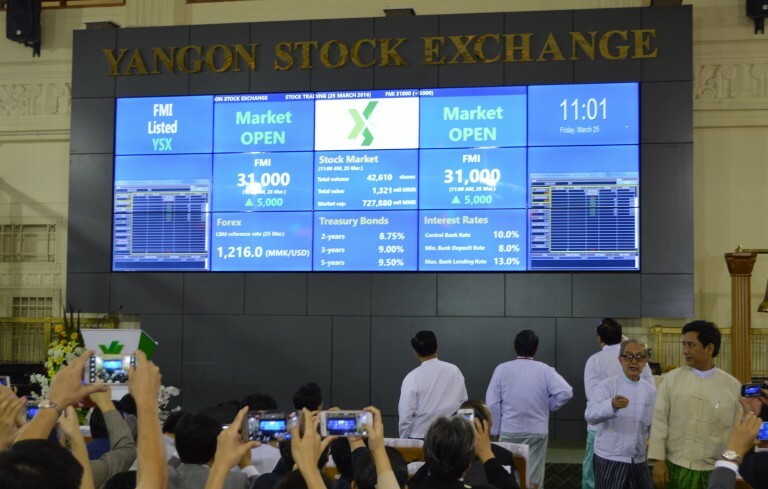 FMI’s closing price was MMK 31,000 and total trading volume was 112,845 shares on the first listing date.